Cortana has 145 million monthly active users across Windows, Android, iOS and Xbox. It’s not clear how people are using Cortana. A third could be Xbox users alone. There are also questions about usage scope and frequency. However, 145 million monthly active users likely represent the largest current active user base across all voice assistants. Google Assistant became accessible to several hundred million Android users earlier this month, but there is a big difference between access and monthly use. Google could close this gap and quickly surpass Microsoft. That doesn’t diminish the fact that Cortana is already a key player with a much larger user base than Amazon could claim today. Cortana has received positive reviews, but the offering was viewed as being well behind Amazon and Google in the voice assistant wars. This view was driven in part by Microsoft’s lack of a dedicated table-top device like the Amazon Echo or Google Home. Cortana’s progress is a testament to the power of having a large installed user base. It should remind everyone that this market is still very early and players such as Apple and Samsung still have a chance to catch up. Microsoft needs to build on its momentum by providing more voice applications (i.e. skills) that will expand the frequency and scope of Cortana use. That is the likely motivation behind Microsoft’s current initiative to recruit Amazon Alexa developers. By quickly replicating many of the high quality skills available today for the Amazon Echo in advance of the Harman Kardon smart speaker launch, the device will have more appeal to consumers. Harman Kardon announced in December that the device will be available in 2017 and include the Cortana Voice assistant. The company no doubt saw what happened to Sonos as Amazon Echo ate into its market share and then abruptly overtook it. To be a smart speaker today requires a voice assistant for many consumers. Microsoft also knows how important it is to have a large number of applications for users. The early abundance of applications for Microsoft OS was a key factor in its win over IBM and Apple in the early days of the personal computer. By contrast, Microsoft’s lack of apps for mobile was a detriment in its competition against Android and Apple. In this market, the fastest route to getting more skills for Cortana is recruiting top Alexa skill developers. The Microsoft email leaves no ambiguity on this front. We’ve made it easy to reuse the code, language models and cards you’ve created for your Alexa skill — and your Cortana skill will work across platforms and devices. Voicebot reported yesterday that the Harman Kardon device will launch “with Cortana’s productivity skills, two-way Skype calling, and extensive library of facts and answers.” Cortana may be the first voice assistant to offer call connectivity and Microsoft has become the business productivity leader with its Office suite, communication and collaboration tools. 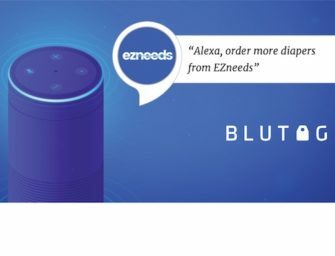 This is another feature set that Microsoft could leverage to create differentiation from Alexa and Google Assistant. It will be interesting to see consumer reaction when the Harman Kardon speaker hits the market next quarter. And, there will no doubt be other consumer devices that will put Cortana in the center of the home. However, with 145 million monthly active users, Microsoft Cortana is already a player to watch today in the voice assistant wars.